PDFs are often used as official documents online, so knowing how to convert to and from the file format is an important professional skill. So is arranging multiple PDF files into a single document. We’ll teach you how to accomplish both tasks below no matter what platform you’re on — and it doesn’t have to cost you a penny. The following method uses Adobe Acrobat DC, the best PDF editor you can download. Acrobat DC is premium software, meaning you need to pay for the privilege of using it. Fortunately, there’s a free trial you can use. That’s helpful whether you only need to merge a couple of PDF files this one time or plan to do all your merging in the near future. In addition, there are a bunch of alternatives out there that would suffice. 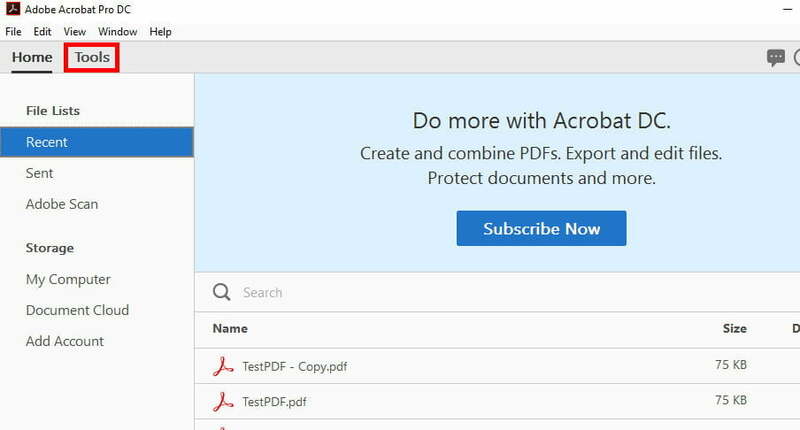 Step 1: Download and install the Adobe Acrobat DC free trial. Step 2: Once installed, open the software and click the “Tools” tab in the top left-hand corner. Step 3: Click the “Combine Files” button. Step 4: Click the blue “Add Files” button and select the PDF documents you want to combine. It should be noted that this method works for all sorts of files, not just PDFs. Step 5: With your PDFs selected, click the blue “Combine” button in the top right-hand corner. Step 6: Your PDFs have now been merged into one. 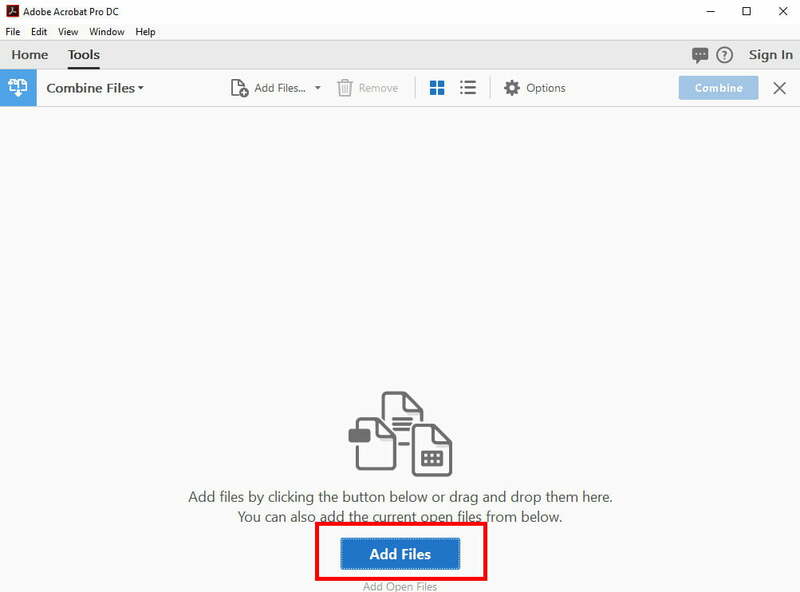 All you need do is save it to a new location, which you can do by clicking “File” followed by “Save As” and then selecting a name and location for your new file. If you don’t like the idea of using Adobe’s software (or your free trial has already run its course), then there are plenty of third-party options to consider that are designed especially for Windows. A cheap and effective option is Perfect PDF Combine, which may be very useful if you end up combining a lot of PDFs and want an app dedicated to helping out. Alternatively, have a look at some of the online options further down this guide. All of them are free and equally effective at combining PDF files together. The latest versions of MacOS let you use Preview to combine PDFs — so as long as you know what you’re doing. It’s a fairly organic process that you should be able to pick up quickly, especially if you follow our step-by-step method below. If you want to speed up the process, learning these MacOS keyboard shortcuts really helps. Step 1: Open “Finder” and select all the PDF files that you wish to combine. Step 2: Open the files (yes, all of them). That will bring them up in a simple Preview mode. If you have a larger screen, it’s very handy to space out these Preview windows so you can see all of them at once. You’ll at least want to be able to see two Preview windows at the same time. 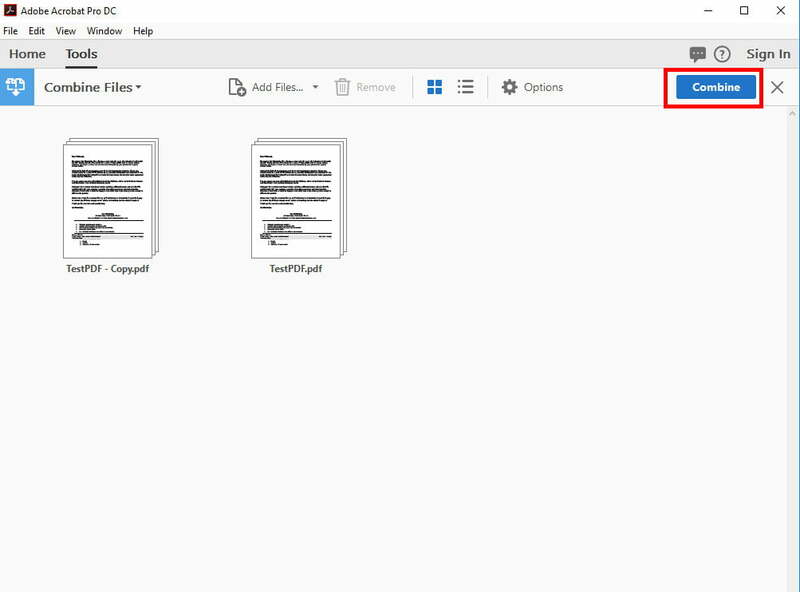 Step 3: For each window, head to the “View” menu and select “Thumbnails.” This will open a sidebar that showcases a thumbnail for each of the pages in that particular PDF. Step 4: Using drag and drop, build the exact PDF you want by either dragging the page thumbnails into a specific order, or dragging the whole PDF into another to combine them. There are visual cues on where pages will appear as you click, drag, and drop them (they may be familiar if you use PowerPoint). These include a divider line that shows if a page is being dragged above or below the current page. Use these signs to avoid making mistakes while forming your master document. You can also rearrange and rotate pages as needed. Step 5: Once finished, make sure to rename the newly merged file so that you know what it is. Although it won’t become the mainstream version of MacOS until the Fall of 2018, those who are part of Apple’s developer program do have early access to a new feature with MacOS Mojave that helps with combining PDFs. It’s all part of the newly redesigned Finder which offers previews of just about anything you select in it. Better yet, the contextual menu on the side lets you perform a number of quick actions, such as combining PDFs. 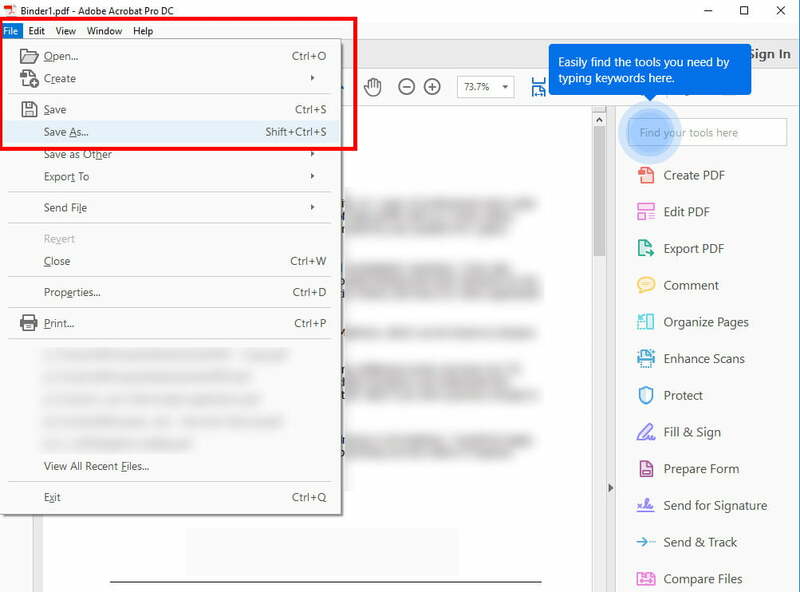 You can select two PDFs, or two entirely different files altogether and combine them together into a single PDF by simply clicking the right button in the sidebar. You can find the quick action menu on the right-hand side underneath the individual properties of the files you have selected. If the combine function isn’t obviously available, clicking the “more” icon should bring it up. There are scores of free, web-based tools that will allow you to merge PDF files — and that’s good news for you. If you need to merge files quickly, this may be the best option since these programs don’t really care where your PDF files come from or where they’re going. Furthermore, they don’t require installing any additional programs. They do tend to have strict size limits, though. Below are several of the most popular tools for merging PDF files, but keep in mind that they all basically do the same thing. If you run into formatting issues with one tool, then try another. PDFMerge! : Open up PDFMerge, and you’ll see a simple window with bars for dragging and dropping several PDF files. You can choose up to four files at once, and add more files as needed. The software provides a simple “Merge!” option to combine them. However, note that the service is only free if you’re dealing with 15MB or under, which is comparably low. After that, it’ll ask you to pay — so large booklets are probably out of the question. PDF Joiner: PDF Joiner is ideal for all sorts of file format shifts and changes. Yes, you can combine PDFs, but you can also change your combined document to a text or JPG file (or vice versa). If you’re trying to condense many different formats into one, this tool functions as a great alternative to pulling your hair out. However, the software only allows you to work with 20 files at once. Smallpdf: Smallpdf’s claim to fame is that it’s easy to download files straight from Dropbox or Google Drive, meaning you don’t have to waste any time uploading the files if you’ve done so previously. That’s great for collaborative projects, and overall, the Smallpdf merge tool works hard to be a more professional choice. The software clearly describes its security, for instance, and allows you to preview your new PDF document as you create it. This is definitely a great option for work-related combining. Convert and split options are also available, as is a Chrome extension and desktop app! Foxyutil’s Merge PDF: Foxyutil offers a cute incentive. If you merge PDF files, you’ll help in sponsoring a tree planting project. That’s great for eco-friendly companies — too bad the maximum file size is limited to 50MB.